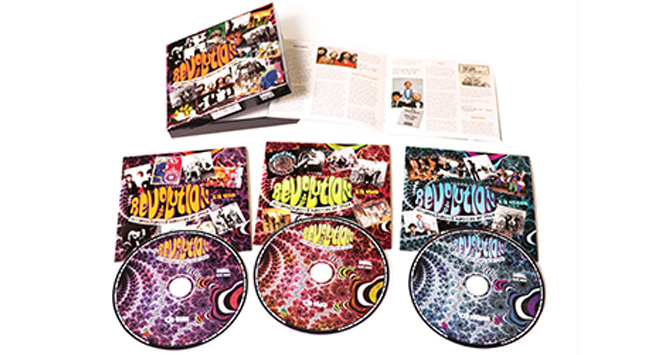 A closer look at February's 'Revolution: Underground Sounds Of 1968 Various Artists, 3CD Clamshell Box Edition'! 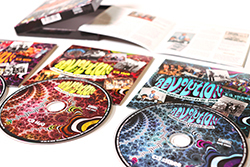 This month we'e pleased to be releasing “Revolution – Underground Sounds of 1968”, a 3CD clamshell boxed set celebrating the so-called “underground” rock music 1968, a year that saw huge changes, both musical and social. Here we are take a closer look at this stunning box set in all its glory! 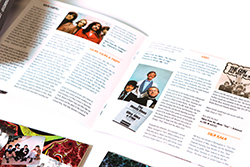 1968 was a pivotal year for creativity in British rock, beginning with some influences of psychedelia still present in work by ground-breaking artists such as Pretty Things, Tomorrow, Incredible String Band, Idle Race, Traffic and The Move, but gradually giving way to styles influenced by jazz, blues, folk and more that would eventually become termed as “progressive”, “folk- rock” and “hard” rock, all of which championed by “underground” figures of the day such as DJ John Peel on his BBC Radio One show Top Gear and by publications such as International Times and Oz. The common thread among all of these artists was an emphasis on experimentation and a desire to push the perceived boundaries of popular music. It was also a year that would see the very first record releases by bands that would go on to achieve success and influence in the 1970s such as Deep Purple, Jethro Tull, Barclay James Harvest, Genesis, Status Quo, Van Der Graaf Generator and Caravan. Aside from featuring better known acts such as Crazy World of Arthur Brown, Procol Harum and Pentangle, this compilation also features lesser known acts that produced work of a wide breadth such as Eyes of Blue, Love Sculpture, The Action, Dantalian’s Chariot, Elmer Gantry’s Velvet Opera, Gun, Second Hand, The Moles and Blonde on Blonde. This collection celebrates a creative period when rock music was evolving into something altogether more serious, moving away from the single as medium to give way to the dominance of the album. 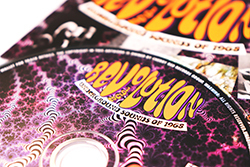 Feed your head with “Revolution – Underground Sounds of 1968”.